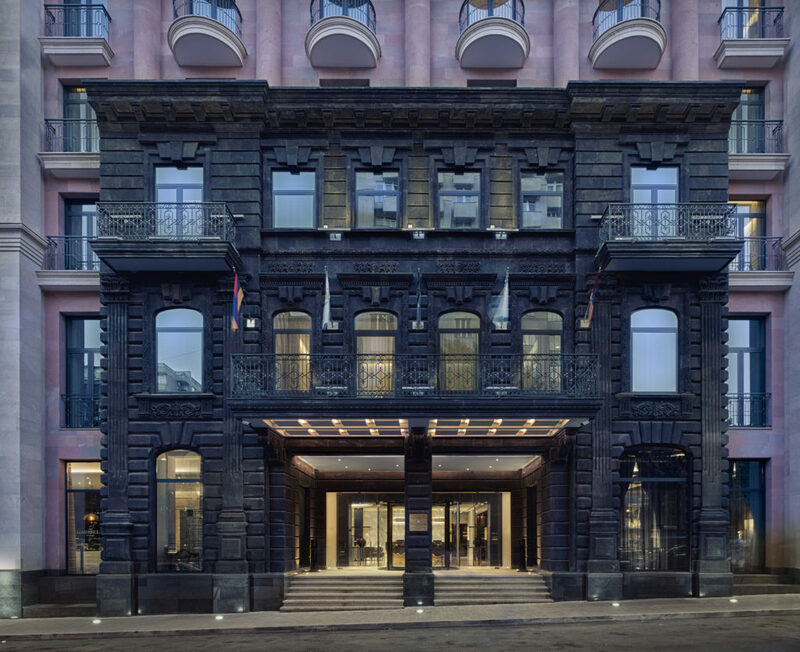 As the first international luxury hotel in Armenia, Marriott’s latest addition to its Luxury Collection – The Alexander Yerevan is truly special. Offering 114 beautiful minimalist designed guest rooms and located in the historic centre of Yerevan, staying here offers guests a once in a lifetime experience. Between Europe and Asia, within the Caucasus mountain region, lies the small country of Armenia. Often overlooked for its larger and far more famous neighbours, Armenia gives travellers the unique opportunity to step back in time and discover the grandeur of the ancient Ottoman Empire. Armenia has over 4000 historical monuments leading many to refer to it as an open-air museum.